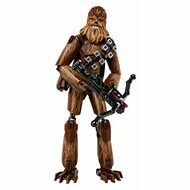 - Buildable and highly posable Chewbacca figure features ‘fur’ decoration, detailed head design, removable ammo belt and bag, and a bowcaster weapon with spring-loaded shooter. - Blast the enemy with the powerful spring-loaded shooter. - Features a sturdy and durable design for intense action play. 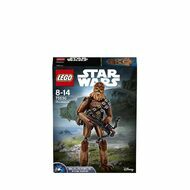 - Play out epic adventures from the Star Wars universe. - Stands over 11” (30cm) high.